This is the ninth blog in a series about “ideal candidates”. A Senior Accountant position calls for people that display this trait less prominently than most people. The ideal candidate will likely follow group consensus when required to work in a group. Senior Accountant positions call for people that display this trait like most people. The ideal candidate has ability to make careful decisions that is sometimes hindered when the situation is out of control. This position calls for people that display this trait more prominently than most people. 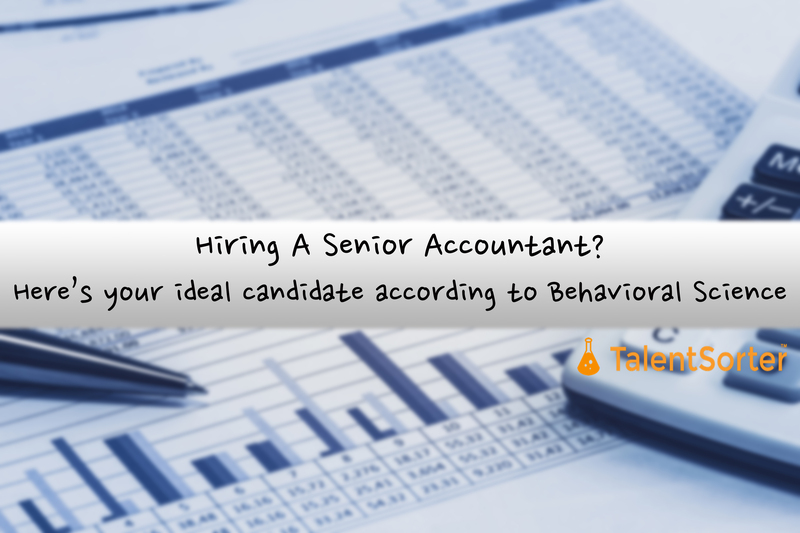 The ideal Senior Accountant candidate usually embraces the opportunity to try new ways of doing things. Senior Accountant positions call for people that display this trait differently than most people. The ideal candidate tends to be passionate about their work and get a lot of enjoyment and pleasure out of it. Creativity: Degree to which an individual uses imagination and intellect to produce novel and original products, ideas, or task solutions. Senior Accountant positions call for people that display this trait more prominently than most people. The ideal candidate appreciates traditional practices, but prefers using new and unique methods to complete tasks.